If you’re already asking this question, the answer is likely to be YES. Below are some simple ways to determine whether you have a rodent infestation and identify whether it’s a rat or a mouse. 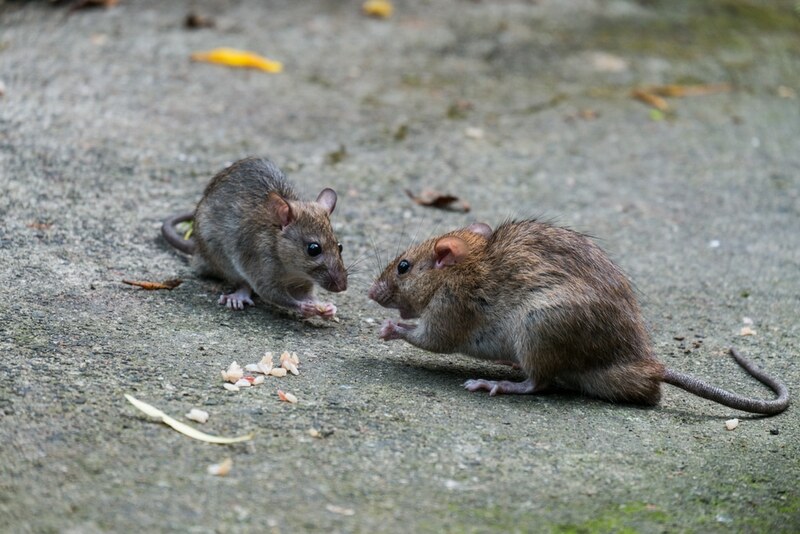 Finding rodent dropping on your premises is a clear sign of pest and also helps you to identify whether rats or mice are your unwelcome guests. Make sure you get a close look, as from a distance, the droppings may just look like a pile of dirt which you may ignore. Close inspection of the droppings will quickly help you to identify the perpetrator; shiny black and between ½ and ¾ inch long says rat, while small, smooth droppings with a pointed edge says mouse. Rat droppings tend to be in one particular place and mouse droppings are found scattered indiscriminately – effectively wherever they are active. The urine that they often dribble tends to be invisible – but it’s important to know that it is still hazardous – Weils disease is spread by Rat urine and can be fatal. Can you see teeth/chew marks? Another tell tale sign as to what you’re dealing is teeth/chew marks, usually found on wooden surfaces like door frames, skirting boards and inside cupboards, however they chew on any hard surface – which sometimes includes water/gas pipes and electrical/data cables. Typically, rat teeth marks are 1/8-inch long, while smaller, scratchier marks usually indicate mice. You will likely be able to hear them gnawing away at the wood with their teeth and a little investigation should be able to distinguish where they’ve been and how they’ve got in there. Are there any tracks and tail trails? Any dust within a room or space will highlight tiny footprints or lines from tails being dragged along. Check skirting boards, in corners and near sources of food. These footprints or lines may even be able to help you determine where the perpetrator is entering and leaving your premises. Can you see any smears? Is there a musky smell in the air? Can you hear scratching and squeaking? These nocturnal rodents rule the roost at nights, so if there is someone on your premises overnight, they may well have heard scratching and squeaking noises. Worse still, they may well have seen a rat or mouse scurrying across the floor! If you answered “yes” to any of these questions, its highly likely that you have a mouse or rat issue.